Dec 26, 2016: Wondering what to upgrade PSU to. Apr 05, 2017: [Build Request] $1000 budget (I have some parts already) Gaming/Photoshop/some video editing. Jul 12, 2017: What is the difference between the G1,G2,G3,GS,and GQ and which one would be best for my build? Sep 05, 2017: Need help choosing a PSU for my 7700K/1080TI Build. Oct 20, 2017: Very quick help needed for a PSU question. Apr 08, 2018: Budget modular 600w PSU? Oct 26, 2018: My first build - opinions? 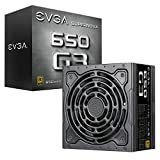 Dec 13, 2018: Will the EVGA Supernova 650 G3, 80 Plus Gold 650W fit in the NZXT Phantom case?